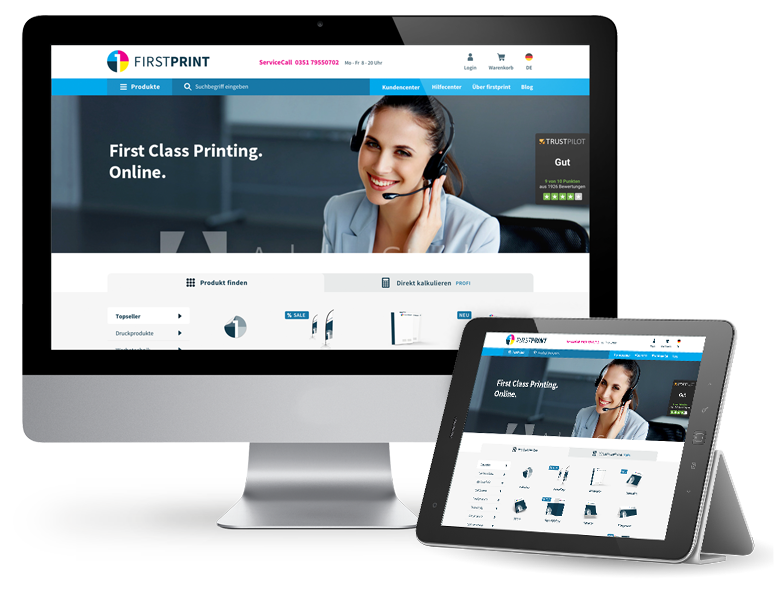 Your first choice for printing: FIRSTPRINT is the online shop for top quality business printing products. We are motivated by your success with dedicated employees and the latest innovations in technology at your service. Agencies and SMEs from the cities of Berlin, Paris, London, Rome, Madrid, Zurich and the surrounding areas will find a full range of advertising equipment, catering supplies and textile products as well as printing products of all kinds. “We have teams locally who are at hand to advise customers, and our call centres are there to assist every day.